Got this for my husband he does not have a nice jacket so this looked nice with different details like zipper closure and two chest pockets it glows his smartness. 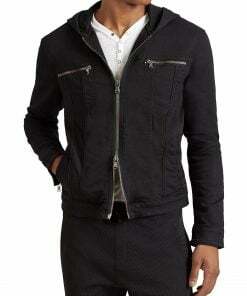 The material is thick so it could keep you warm but it is a lightweight jacket not for freezing weather. It looks pleasant and very fawning with just the right length.